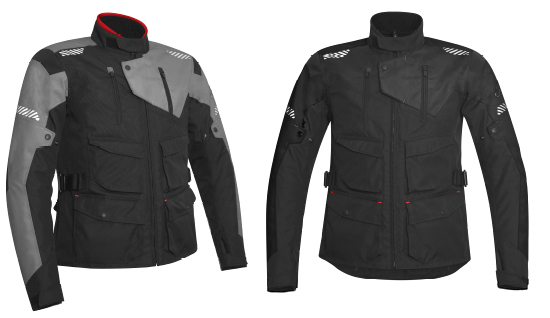 Italian motorcycle sports specialists Acerbis launches its ‘Discovery’ range; a new line of lightweight, versatile riding jackets that combine style and durability at an affordable price. This new for 2019 entry-level range offers features often found in higher priced equipment with the three jackets (Safary, Forest and Ghibly) all retailing at under £200 (including VAT). A specific ‘ladies cut’ is also available in each line with a tailored focus for the female rider. As one of the leaders in motocross protection, Acerbis has used its unrivalled knowledge to develop its road products with safety being paramount. The Discovery jackets utilise 600D polyester, which is highly resistant to tearing and abrasion, CE Level 2 Acerbis armour in the shoulder and elbow areas plus a back protection ready area for the Acerbis CLAY system, which is available separately. To keep the best of the British weather at bay, the Discovery range features a waterproof and breathable coating applied inside the thermal lining and all seams are fully taped to ensure they allow no moisture in. On warmer days, built in shoulder and back meshed ventilation can be unzipped. Each jacket contains an inner thermal liner (available separately on Ghibly model), comfortable microfleece collar and detachable inner padding for year-round riding. The top of the range Safary features five, fully-taped outside waterproof pockets (two with Forest model) as well as additional pockets both inside and within the detachable liner. The distinctive Acerbis logo and detailing is etched onto each jacket on the front, sleeve and back. The jackets are available in Black, Black/Grey and Fluro Yellow in sizes Small to 3XL priced at £199.99 for the Safary, Forest (£184.99) and Ghibly (£164.99). For more details on the Acerbis range visit www.acerbis.it or www.acerbis.it/motorsport/en/ and to find out more about Acerbis in your local area contact 01582 491076, ukinfo@acerbis.it.